How many times do we stop and consider The Lord's faithfulness? 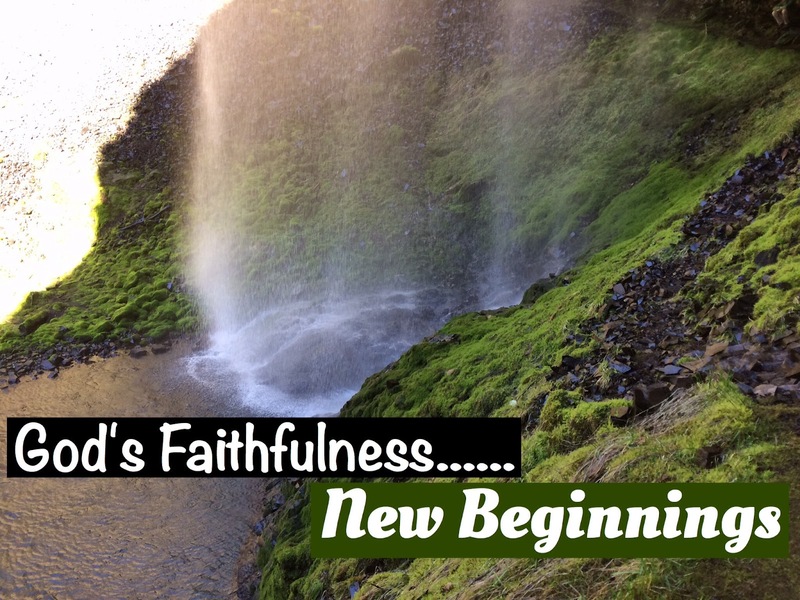 Every day His mercies are new, and His compassions fail not. Through the hard times, and the good times God never changes. His Word remains steady and sure, and there is nothing uncertain about His faithfulness to keep His promises. Have you ever stopped to consider the power of God? He rules the heavens, and the earth. He could have made one star, and one moon, and the earth, and stopped. He could have just made the earth as well, and stopped. But He didn't. He decided to go beyond all that we could ask or think, and create infinite wonder and beauty in the heavens of heavens, and in the earth. He went so far as to create you and me, and not just create us, but to give us unique thoughts and dreams, and feelings and goals. He went beyond, just to show that He could, and prove that His faithfulness is never ending. When we think we can't go on another day, and when our failures seem to be closing in on us, God sends us his love, in the form of a ray of sunshine, a bird, a flower. The sound of rain on our roof, and the knowledge that we are safe inside His arms. His mercies are new every morning. His strength is sufficient for another day. Great is His faithfulness. I read a book recently Priscilla Shier entitled “God is Able” The entire book was an explanation and practical application of Ephesians 3:20-21 that says “Now unto him that is able to do exceedingly abundantly above ALL that we can ask or think, according to the power that worketh in us. Unto Him be glory in the church by Christ Jesus throughout all ages. World without end. Amen.” Mrs. Shier basically took every negative thought, and concern we have about God, and challenged it with the truth of Scripture. Through stories, and insights from her life, she showed the importance of trusting and believing that God is truly able to do exceedingly abundantly above all that we can ask or think. And He requires us to live in light of that belief. Remember in Psalm 89:1 that I shared earlier how it said “I will sing of the mercies of The Lord forever, with my mouth will I make known thy faithfulness to all generations”? From this verse we can see that God expects us to live and take actions in light of His mercy and faithfulness. He not only wants our hearts to know and believe that His is able, He wants us to speak it with our mouths. It's hard to be grumpy when your always speaking and singing about the faithfulness and mercy of God. I'm reminded of the verse “O Lord, open thou my lips and my mouth shall show forth thy praise.” Psalm 51:15 we must choose to set our focus on things above, and not on things on the earth. We must fill our mouths with the praises of The Lord, and not cease to speak and sing of His faithfulness always. Our words are very powerful instruments that can be used for construction or desctruction. We must choose to live in the light of God's faithfulness, and speak of His mercy. It doesn't come easily, but we'll find that the more we speak the praises of The Lord, the more we'll see His faithfulness. Several months ago, I did a 30 day challenge called “Choosing Gratefulness” by Nancy Leigh DeMoss. Every day I read a simple devotional, and then answered questions about a certain aspect of gratefulness. I found the challenge to be quite motivating, and was surprised by all the things I found to be grateful for. I decided to start keeping a simple journal of Gifts from God, and Gifts from Others. Over the next few months as things came to mind, I would write them in the journal. Soon, I had filled several pages of things I was grateful for, and the list is by no means done. I realized as a result of this, how important a simple act of gratefulness is for others. There are so many opportunities each day to share a simple word of gratefulness. A simple thank you to God, or others who have benefited our lives. But yet, so many times we pass those up for the thoughts of worry and failure, and miss out on the blessings of seeing things from a different perspective. Psalm 89:1 says “I will sing of the mercies of The Lord forever.” It doesn't say, just when I feel like it, or just when things are going well. It says forever. There's always something to be grateful for, and someone to share a word of encouragement with. When we come to know the depths of the faithfulness of God, we can't help but express gratefulness for His mercy. 1 Corinthians 15:58 says “ Therefore my beloved brethren, be ye steadfast, unmoveable, always abounding in the work of The Lord, forasmuch as ye know that your labor is not in vain in The Lord.” Living in light of the faithfulness of God requires that we be committed to Him. How many times have we passed up Opportunities to lend a hand to a stranger, to speak a word of encouragement, or to tell someone else of the faithfulness of God? Instead, we choose to ignore the problems, ignore the pain around us, and hope someone else will do the honorable thing, and lend a hand. But God requires us to be committed to Him. As Christians we have a non- optional duty to live as ambassadors of Christ in a fallen world. We are to be His hands and feet, His heart, and voice. God does not call us to a life of happiness. He calls us to a life of holiness. And as ambassadors for the king of kings, we have a great calling to live faithful committed lives that reflect the mercy of God on our behalf. We must do as Psalm 89:1 says, and “sing of the mercies of The Lord forever, and with our mouths make known his faithfulness to all generations.” Oh what a blessed Christ we have been invited to know. What a great Salvation we have been given. What a great commitment we have to fulfill. May God give us all the grace to seek His face continually, and live in the light of His faithfulness that is new every morning!